WARREN, N.J. April 15, 2019 AdvantEdge Healthcare Solutions (“AdvantEdge”), a national leading healthcare billing, coding, and practice management company, today announced successful third party recertification for HIPAA and HITECH privacy and security requirements by 360 Advanced as well as SOC 1 Type 2 and SOC 2 Type 2 for information security and transparency. 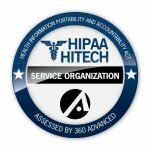 For the seventh consecutive year, the audit results for HIPAA and HITECH demonstrate AdvantEdge’s total organizational commitment to meet the rigorous data and security requirements for HIPAA and the HITECH Act. The HIPAA HITECH recertification demonstrates that our standards for revenue cycle management services for physician practices, hospital-based groups, ambulatory surgery centers, and behavioral health agencies are ‘above and beyond’ those of most firms in the industry. Healthcare providers can have a higher degree of confidence in AdvantEdge’s rigorous standards for security, privacy, and transparency”, said David Langsam, President & CEO. 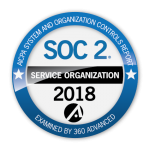 Concurrently, AdvantEdge completed the recertification process by the independent auditing firm, Advanced 360, for SOC 1® Type 2 and SOC 2® Type 2 examinations according to AICPA’s Statement on Standards for Attestation Engagements No. 18 (“SSAE 18”) System and Organization Controls Report. The completed recertifications for AdvantEdge validate the continuing commitment to deliver high-quality services and information security to its clients by operating at the highest level of transparency and standards. “We are proud of the recertifications and what they illustrate to our clients relative to our ClientFirst℠commitment and organizational focus on information security and organizational “transparency”, said Langsam. ”Participating in these rigorous examinations is an active demonstration and validation that our words and stated commitments in this regard are consistent with how we operate the business and that our clients can rely on us every day to protect their information. We are committed to a culture of compliance in all phases of company operations,” said Senior Vice President and Chief Compliance Officer Jeanne A. Gilreath. AdvantEdge is recognized as one of the top 10 billing, coding, and practice management companies in the U.S., with more than 800 employees, collecting over $1 billion annually for physicians, hospitals, ambulatory surgery centers, behavioral health agencies and large office-based medical groups. AdvantEdge has added value to physician practices and healthcare organizations through its billing, coding, practice management, and business analytics solutions for over 50 years. AdvantEdge’s clients enjoy improved financial results through its tailored services, robust technology, and actionable business intelligence and reporting tools. AdvantEdge’s promise: More money faster, Client-First Service, Compliance, Privacy & Security and anytime anywhere access to data and information. AdvantEdge’s investors include Founders Equity. For more information about AdvantEdge, please visit our website at www.ahsrcm.com, follow us on Twitter at @DoctorBilling and on LinkedIn.